Free Comic Book Day is this Saturday! What that means is that comic book stores around the US will be giving away comic books that the major comic companies print especially for the occasion. These have included in the past a great mix of kids comics like Archie and Sonic the Hedgehog, unusual comics like Mouse Guard, and of course lots of superheroes like Green Lantern. Our local comic book shop has a limit of 5 comics each, but you can go to both locations. Free Comic Day has also included HeroClix figures and other little things too. I'm very close to 700 likes on my Facebook page! Yay! 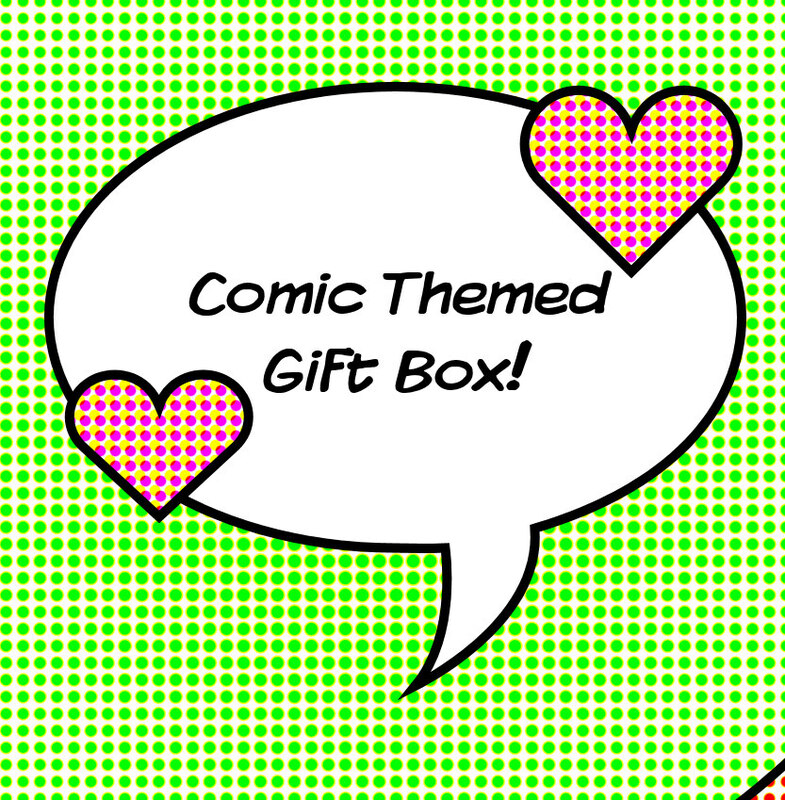 So my daughter suggested that I make a comic book themed printable box for all of you. Click on the image for the larger version. 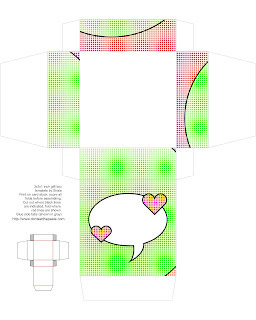 Print/cut/score/fold/glue. Also on Saturday, here in Anchorage, one of my family's favorite authors is coming up for a book signing. TG made herself a fantastic Anubis mask for the costume contest out of duct tape. It's a very cute gift box and what's so nice about it is that you can customize its print. 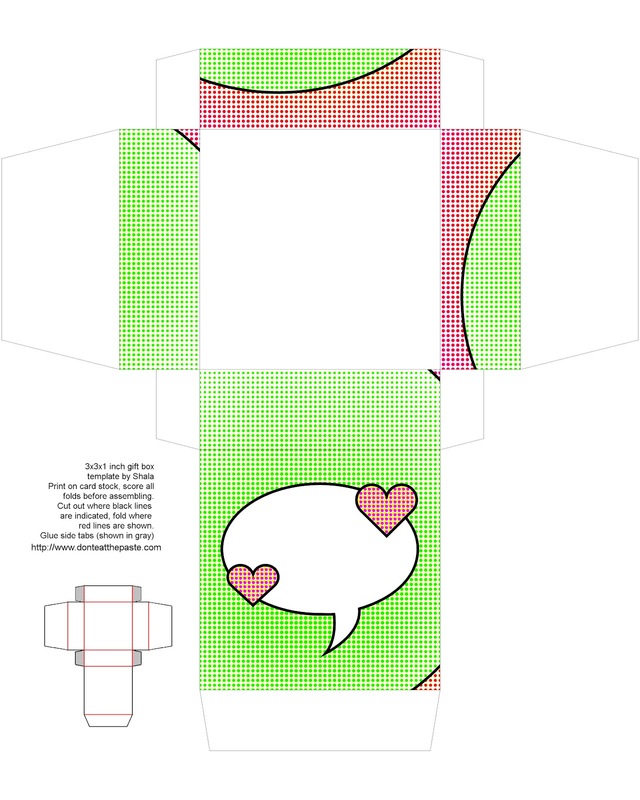 I would go to the offset printing in Sydney and see how I could request for a similar printed box.